Every year in November, we put out a call for special coffees that roasters around the world are featuring for the holidays. It’s always a surprise and a delight to discover what surfaces during this weeks-long cupping. And what we learn never fails to be compelling in multi-faceted ways. Some roasters approach seasonal offerings by composing creative, often unique, blends, while others prefer to go the route of rare or high-end “splurge” coffees that gift recipients might not buy for themselves. And then there are those roasters who focus on exceptional examples of familiar single-origin coffees whose window of seasonal availability happens to be right about now. For this year’s holiday report, we received an abundance of coffees in each category. We review the top 10 here, ranging in score from 92-96. Spoiler alert: several are bargains, given their distinction and quality. Los Angeles roaster Bar Nine’s Baru Gesha. Courtesy of Bar Nine. Returning to Gesha, we offer an interesting opportunity to sample two Geshas from the same farm, one processed by the wet, or washed, method, and the other processed by the dried-in-the-fruit or natural method. 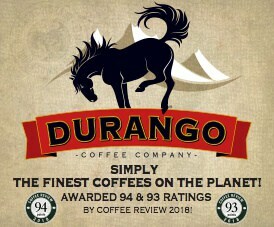 The producer is Roberto Brenes of Panama’s Finca La Aurora. 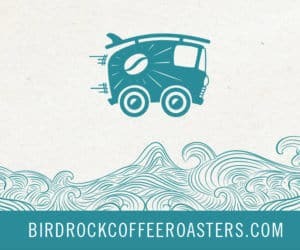 The washed version is roasted by San Diego’s Bird Rock Coffee Roasters (94) and the natural by Willoughby’s Coffee & Tea in Branford, Connecticut (93). The former is crisply floral and sweetly herbaceous, while the latter is cleanly fruit-toned with a pleasing shimmer of sweet ferment. Hillsborough, North Carolina’s Joe Van Gogh Coffee sent us a splendid Gesha from Colombia, the El Obraje (94), certainly as impressive as its Panama counterparts: spicy and multi-faceted, displaying notes as diverse as bergamot and vanilla. Katelynn Hunter behind the roaster at Steadfast Roasting in Nashville, Tennessee. Courtesy of Steadfast Roasting. Blends of any kind are, by nature, an experiment, even in contexts where the variables are well known. For example, Bordeaux enologists work, day in and day out, with Cabernet Sauvignon and Merlot grapes, but each year’s blend is different, based on weather, Brix at harvest, fermentation style, and other factors. Coffee roasters are not as limited as many winemakers are in terms of the blends they can create, given that they are not constrained by legal definitions founded on geography or region. Roasters may sometimes create blends designed to absorb whatever faded green coffees they have left at year’s end, for example. Gratifyingly, the three blends that we rated highest this month appear to be the polar opposite of that expedient scenario. 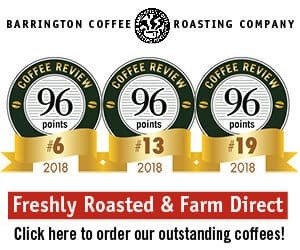 They are composed of green coffees carefully selected for their individuality, then tested in various proportions aimed at realizing the roaster’s vision for the blend. Coffee cherries growing in the Yirgacheffe growing region of Ethiopia on Adisu Kidane’s farm. Courtesy of Bedhatu Jibicho. “Kith and kin” is an old-fashioned term for friends and family, a good recipe for successful holiday gatherings. Revel Coffee’s Kith & Kin Blend (93), heavy on Kenya with an assist from washed Ethiopia, nets what owner and roaster Gary Theisen was going for with this season’s holiday blend: a coffee experience both powerful and approachable. At $17.50 for 12 ounces, it’s also a slam-dunk stocking stuffer. Cheers to all! Here’s to a peaceful holiday season and a new year full of promise—and coffee, always coffee.